Gratin is a favourite dish of mine and Belle's. The epitome of simple yet sophisticated; it comprises of very basic ingredients enhanced by flavourful spices. 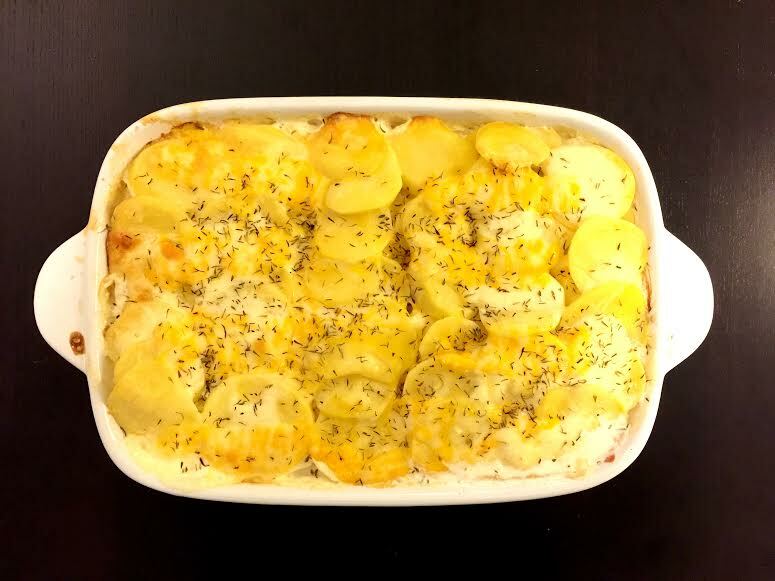 When browned sufficiently, the cheesy, crusty top layer provides a nice textural contrast to the softness of the fragrant potatoes and cream. Gratin, as a verb, is used to describe a culinary technique where a dish is browned or crusted under the broiler, usually with breadcrumbs, eggs or cheese. As such, you can find meat gratins, cauliflower gratins and ... avocado gratin! 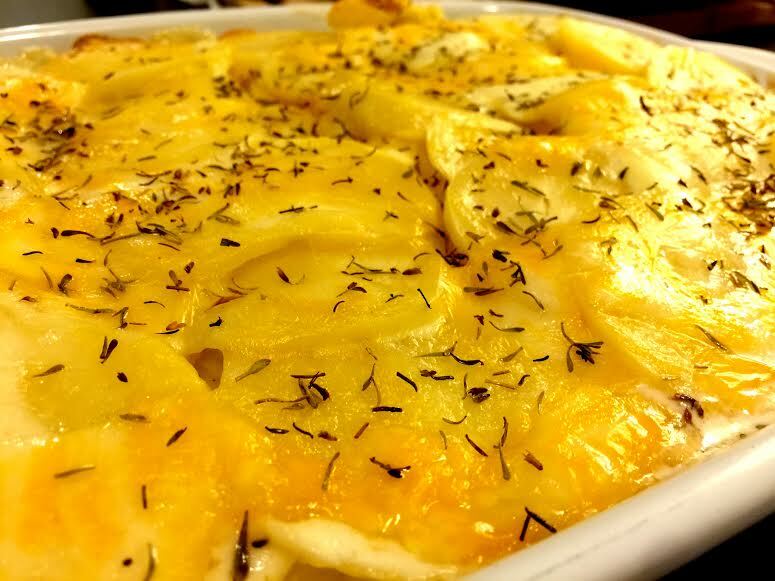 Gratin Dauphinois, which originated from Dauphiné in the south eastern part of France, is this specific dish which is traditionally cooked with potatoes, a clove of garlic, and crème fraîche. 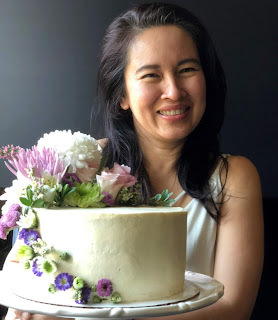 Here, we have prepared it with heavy cream, and added an aromatic dose of thyme. A fancy pants version of baked potatoes, Gratin Dauphinois goes well with hearty mains: roast chicken, pork chops and steaks. Add steamed carrots and salad greens, and your plate would be post-worthy! 1. Cook the onion over the stove for about 3 minutes until soft. 2. Stir in the garlic, thyme, salt, and pepper for about 1 minute until the garlic is aromatic. 3. Turn off the heat, set aside. 4. In a saucepan, simmer cream, milk, and nutmeg, then remove from heat. 5. Pour a bit of the mixture into a baking dish. 6. Layer the half potatoes neatly inside the dish. 7. On top of this, neatly add in the mushroom mixture and half of the cheese. 8. Layer the rest of the potatoes neatly and evenly pour the cream on top. 9. Preheat the oven to 350ºF. 10. Cover the baking dish with foil and bake for 70 minutes until the potatoes are soft and easy to be cut with a knife. 11. Remove the foil and bake for 30 more minutes until the top has browned. 12. Let sit for about 15 minutes, then serve.